This one comes first for me because I think your memories are literally gold. There are not a lot of investments can you make that will make people smile for a hundred years, but photography is definitely one of those investments! Maternity portraits are for you, but they are also for your kids! In fact, all of your portraits are something tangible to pass down to your children and your grandchildren. There is nothing they will value more than being able to see how beautiful you were at such a wonderful stage of life! Cliche, right? That’s what I thought, also! A few weeks before my maternity session was scheduled a wise photographer told me that she too had set up a tripod and took her own maternity portraits. What surprised her was that the glow was real. She looked at herself and what her body was doing in a whole new way after she saw those portraits. All she saw was the beauty in growing a tiny human. Y’all. Every last word of that is exactly what happened after my own session! Mama, I promise you look amazing and you will love how you look! Three: We Get to Play Dress-up! This one really could be number 3 and 4, but I think they go together also! Mamas, how often do you get out of your athletic wear, your jeans, or your work attire, to put on something that truly makes you feel gorgeous? Some of us dress up for Christmas parties, or the occasional gala, but that doesn’t happen often! 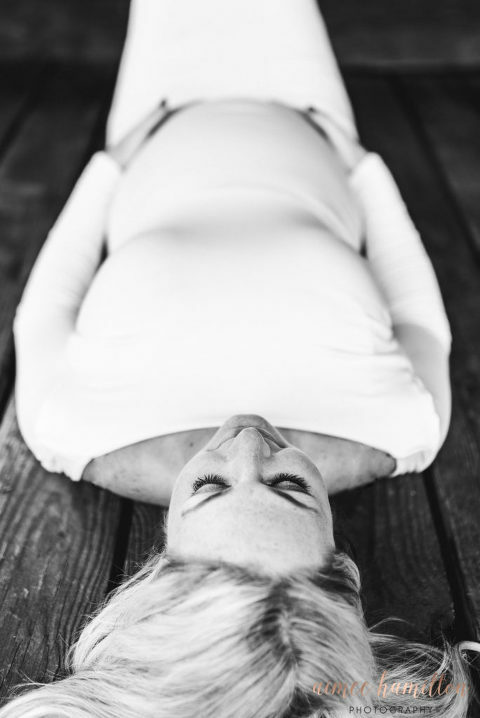 Your maternity portraits are just that! It is an opportunity to wear borrowed dresses made to flatter your new body! Some of my favorite dresses in my collection are from Sew Trendy and Filly Boo Maternity! Even if I don’t have a dress you love, Sew Trendy has a great referral discount that I can share with you! They everything from dresses to a gorgeous collection of flower crowns! 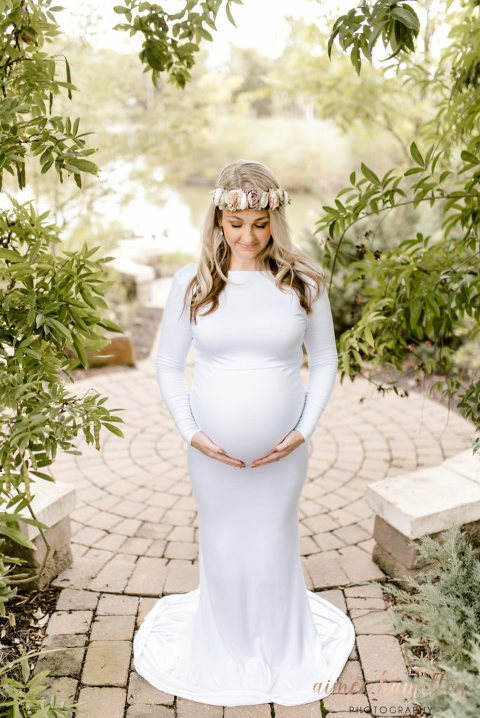 In addition to gorgeous dresses, maternity portraits are definitely a time to pamper yourself a little bit! Remember when you were a little girl and playing dress up meant getting into mom’s make-up? When you book a hair and make-up artist, you’re kind of reliving that! Let someone else pamper you a little bit and make you feel amazing! Aimee Hamilton is a newborn and family photographer offering Maternity Portraits in The Woodlands and surrounding areas. 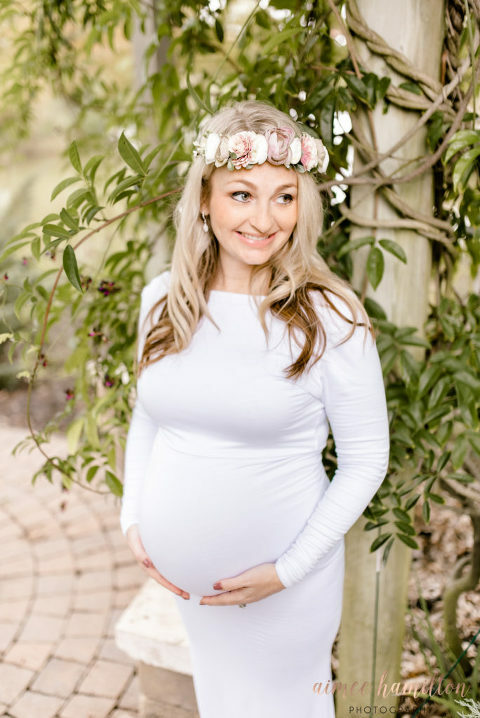 Get in touch with me to chat about your upcoming maternity and newborn sessions. AHP offers an “Elite collection,” combining a maternity session and newborn session to give you two sessions for the best value! Maternity and lifestyle newborn sessions can be done in Montgomery, The Woodlands, and Houston! Studio newborn sessions will be just north of The Woodlands. More information about this location can be found here!